During 2005 and 2006, the downtown churches in Statesville were noticing a steady increase in individuals coming directly to church offices requesting food, clothing and financial assistance for shelter, transportation, utility bills and medications. Churches and agencies in the area could not keep up with the need. Leaders from several churches began working together to develop a way that they could consolidate services and funds to meet the needs. The result was a volunteer-run organization which would work with the families on a one-on-one basis, keep track of their needs and current status and assist with crisis needs as well as long term needs. By drawing volunteers from fifteen church congregations and the community at large, and by developing a relationship with the Second Harvest Food Bank of NW North Carolina and with donated funds along with the assistance of local grocery stores, ICM was born. ICM was originally set up to assist 100 families a month. Today, Iredell Christian Ministries serves close to 800 families per month! To be an agency in partnership with others that will provide services to people in crisis. Reach people with God's love and compassion, seeking to serve those in crisis situations with food, financial assistance and counseling. To treat our clients with respect as we strive to reach the ultimate goal of restoring them to self-sufficiency. We are a Client Choice Food Pantry where individuals can actually shop for the food items needed by their families. Although Joy grew up in Winston-Salem, NC she has always had close ties to Iredell County since both of her parents were from the area. Most of her relatives lived in the area and attended church in Iredell County. 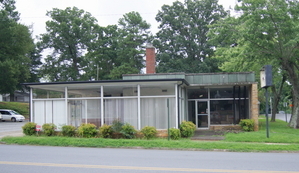 Joy's home church was Zion Baptist in Union Grove, NC, the church in which her father was raised. She graduated from Wake Forest University with a B.A. in Elementary Education and later obtained an M.ED in both Supervision and Curriculum, and in Educational Administration. Joy taught at Union Grove, Scotts, and Celeste Henkel Elementary schools before moving into educational administration. She served as Principal at East Iredell Elementary and in Davie County, NC she served as Principal at Coolemee Elementary and Pinebrook Elementary. After a thirty-year career in education, Joy retired December, 2013. Joy and Roy Morrison have been married for over thirty years and have one daughter, Kate Morrison who is a third year Seminarian at Columbia Theological Seminary in Decatur, GA. They are active members of First Presbyterian church in Statesville, NC. One of Joy's greatest "joys" has been serving for the past twenty years as one of the teachers for the Living in Faith Sunday School Class .... a class for developmentally disabled adults. Joy was quoted as saying: "it is both an honor and a privilege to serve as Director of Iredell Christian Ministries". She asks for your prayers for guidance and discernment as she works together with others at ICM to continue to provide a financial and nutritional bridge for those in crisis. Kathie has been our Administrative assistant for the last three years. Prior to that she was a volunteer. She does everything asked of her with a pleasant personality and a great attitude. And, she does it all: interviewer, data entry, receptionists, etc. For thirteen years Kathie worked as an assistant to the purchasing agent at Michael Weinig. Kathie moved to Statesville from Denver, CO over thirty years ago. She is a widow with three children and two granddaughters with whom she enjoys spending time.